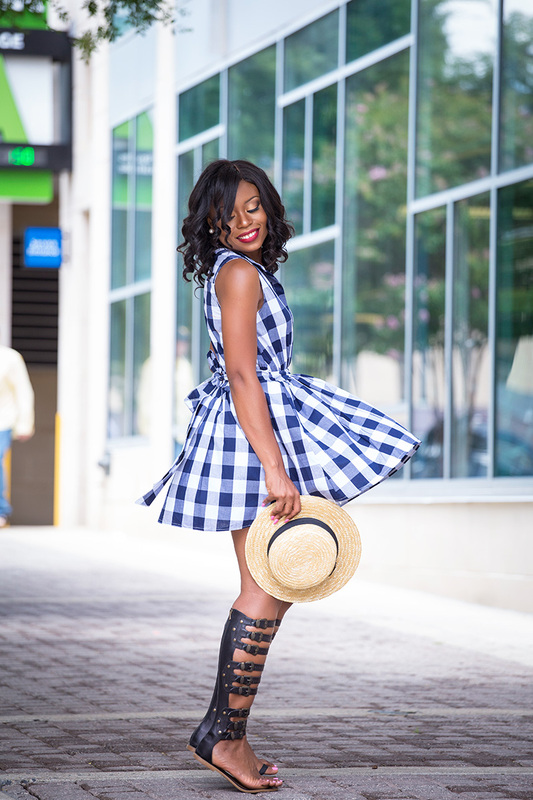 This chicwish dress brings back fun summer memories and the cut and style has a playful side to it. 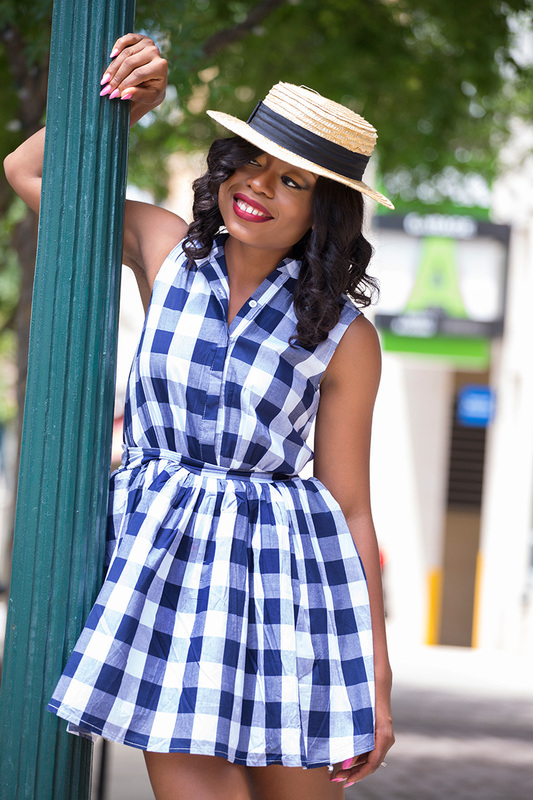 The check print and sassy flare makes it a great and perfect outfit for the summer. It will look great if paired with white converse sneakers but for this post, I went with gladiator sandals that I have owned for years - gives a unique touch to outfits. 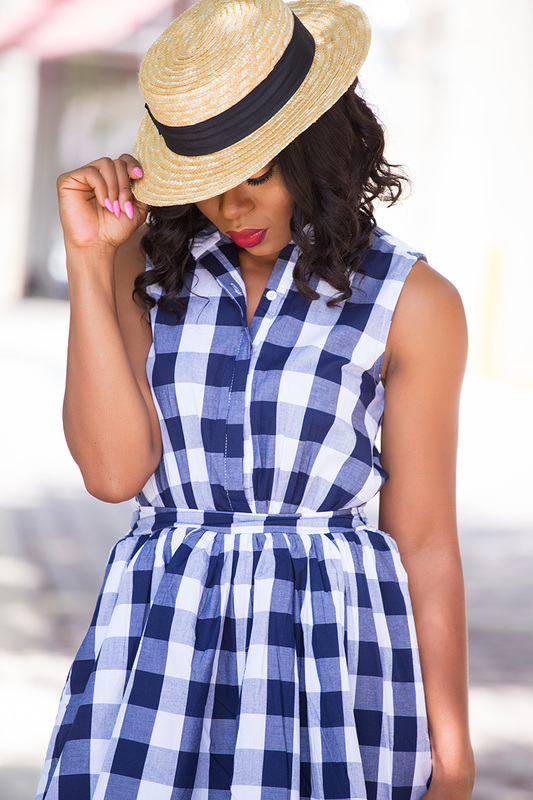 The buckle and style is ageless and I completed the look with a straw boater hat. Thank you for stopping by, have a wonderful day! Thank you to Chicwish for sponsoring this post. I like this look on you and those sandals yes!!! Oh Stella, I need those gladiators. I am adoring this look, and you look stunning! Such a bright and playful dress! That dress is everything, oh and the last image. WOW! Just WOW! I guess we both have a thing for gingham? You look so cute in this outfit. I can tell you are having so much fun.